Super Services London LTD this who we are! Friendly, Flexible, Efficient and Trustworthy - these are the words that describe our company. 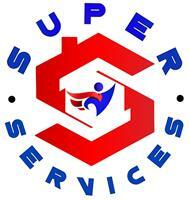 Super Services London offers a full range of home maintenance & repair services across London. We pride ourselves on our reliable customer service, transparent pricing system, and remarkable professionalism. We always strive to provide services of the highest possible standard. Our mission is to make your home comfortable, beautiful, and safe! All workers is qualified This means that you are getting a person who can not only solve all your maintenance problems but also has great communication skills, copes well under pressure and understands the value of customer relations. Super Services London LTD is focused on delivering a great service on every visit. We want you to feel like you have struck gold in discovering great company where u can take pride in recommending us to your friends. Booking enquiries will be quickly and efficiently by our friendly and knowledgeable customer service. We will discuss your requirement with you and give you a rough estimate of cost at the booking stage. Jobs scheduled for a specific date and time that you are available!